It was fun participating in Folktale Week 2018. 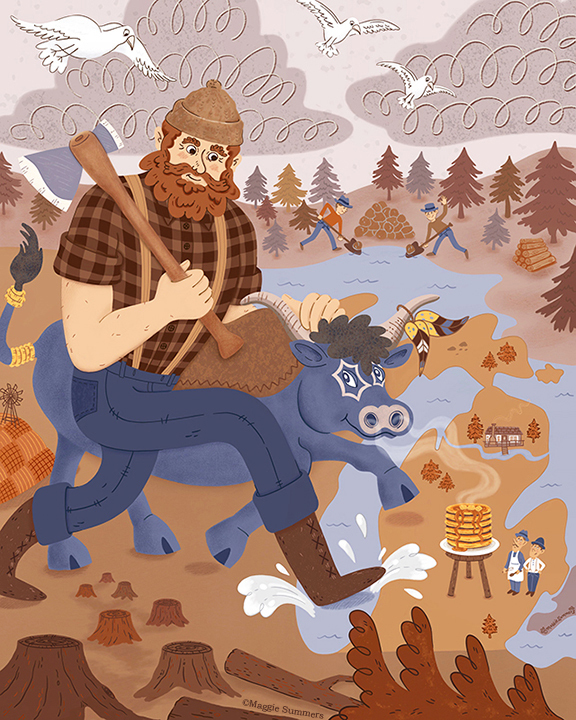 Day One Prompt - Forest: Paul Bunyan was a giant 40 foot tall lumberjack with superhuman strength, who cut and logged forests with his trusted companion Babe the Blue Ox, across Wisconsin and Michigan. Its been said that Paul, who was born in the state of Michigan (amongst many other states claims) dug holes and filled them with water so that he and Babe could bathe. These holes became the Great Lakes.